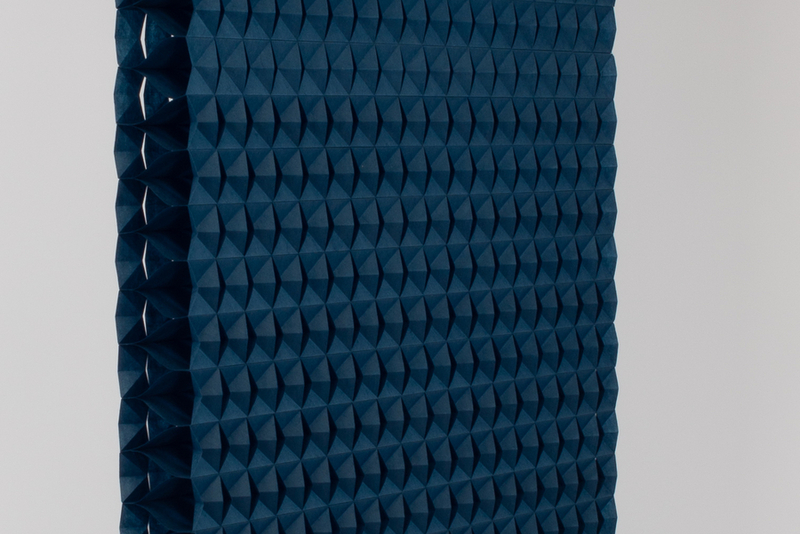 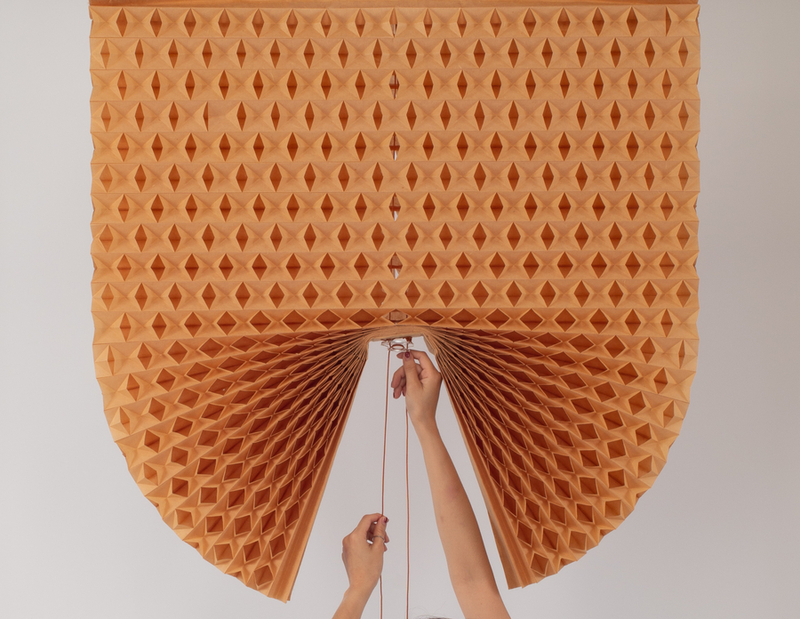 to replace — as she calls them — the ‘overqualified’ materials, thailand-born and london-based designer natchar sawatdichai uses sustainable ones, such as paper, for the production of the domestic objects. 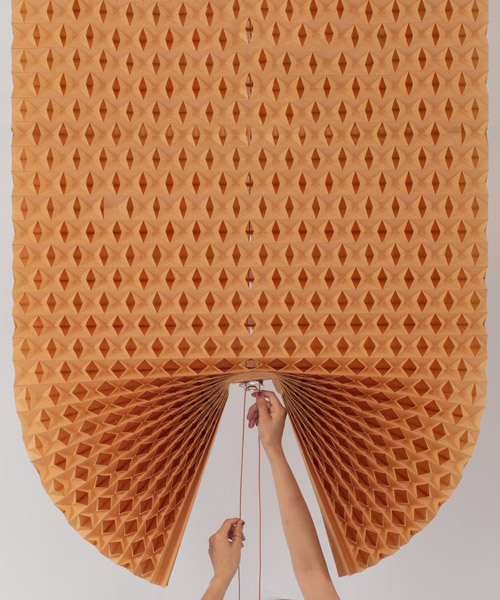 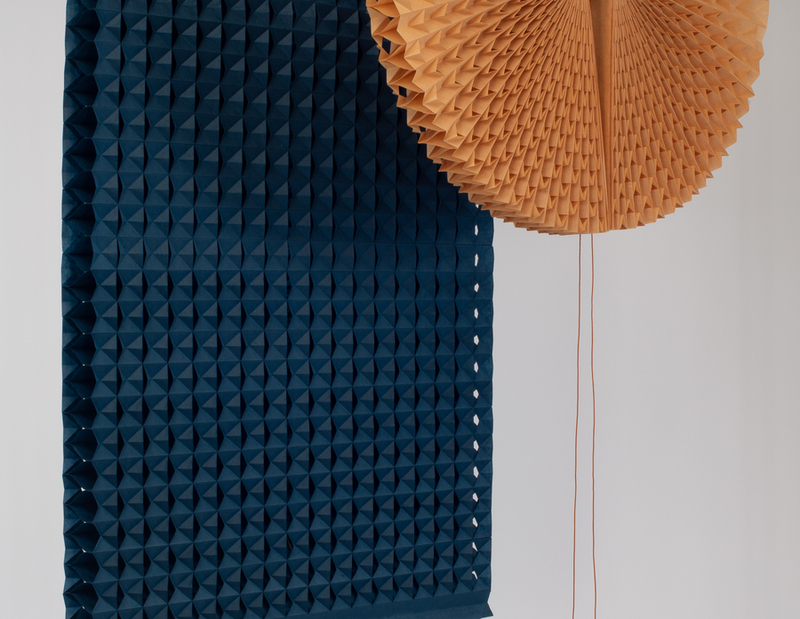 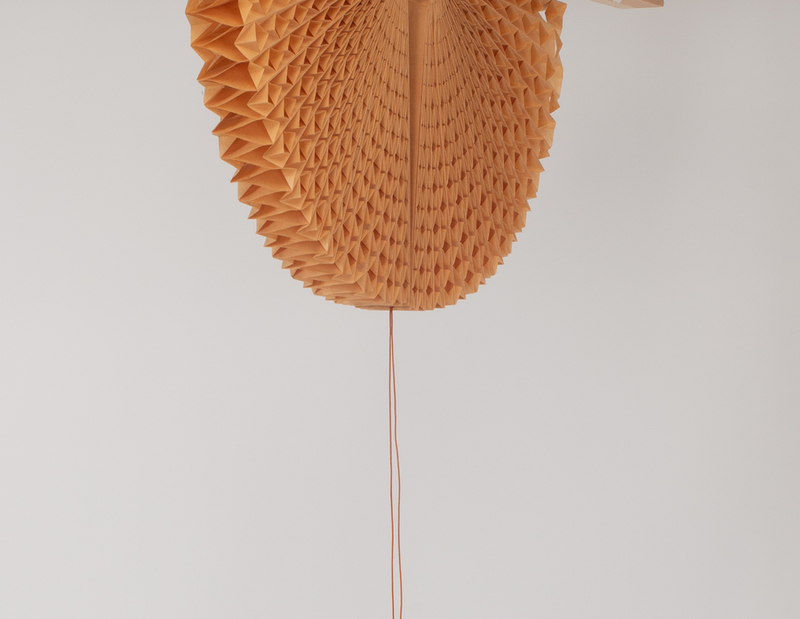 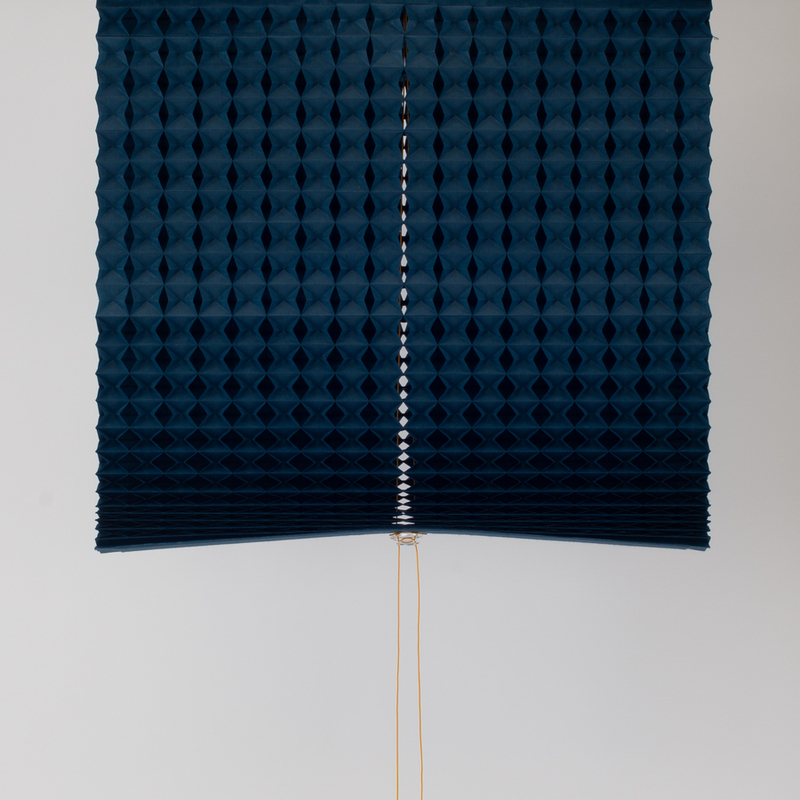 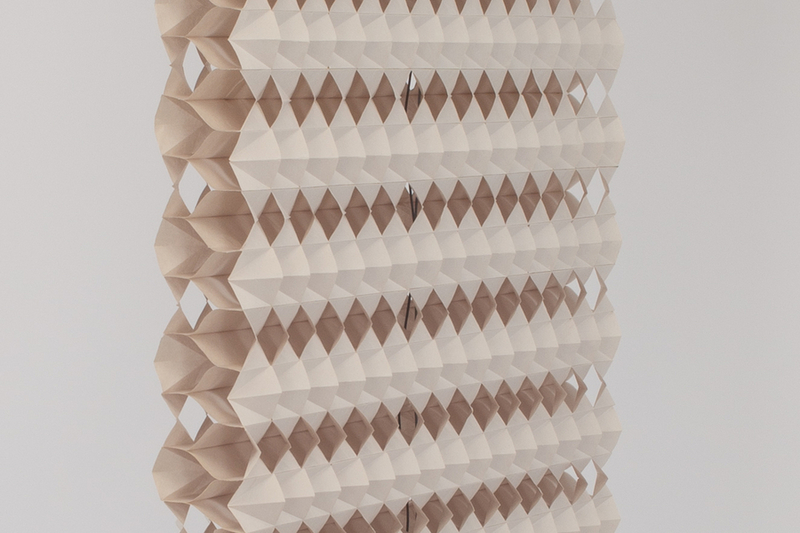 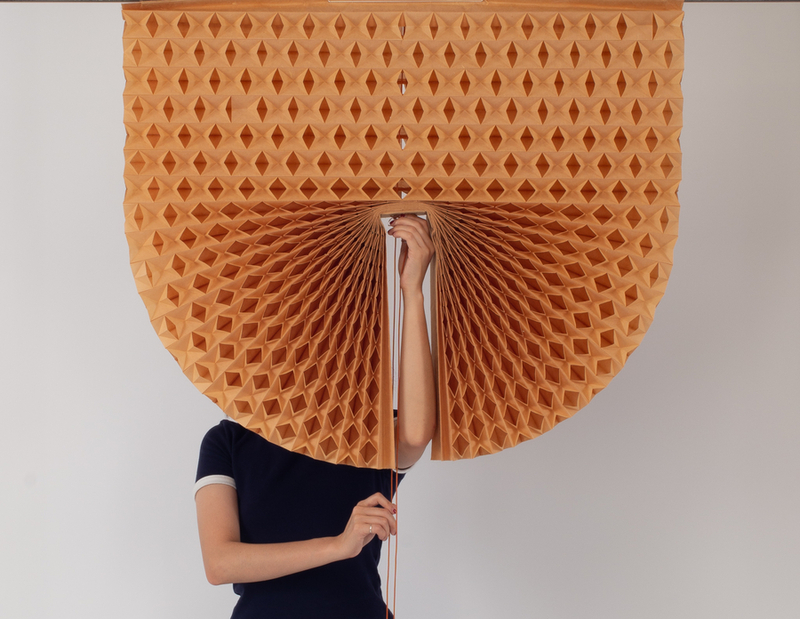 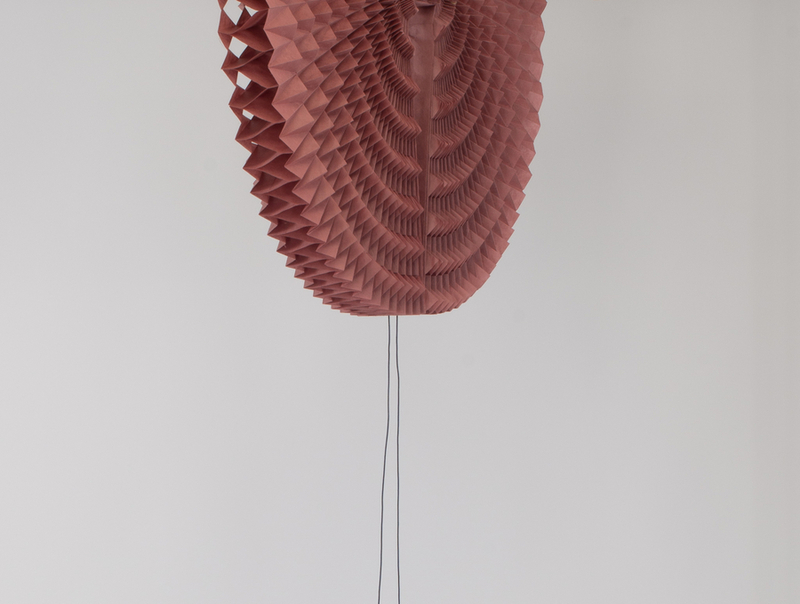 cutting and folding paper into dimensional patterns, sawatdichai creates customizable blades made of three simple elements — the curtain itself, a cord it is hung on, and a pulley to fix it on the necessary height. 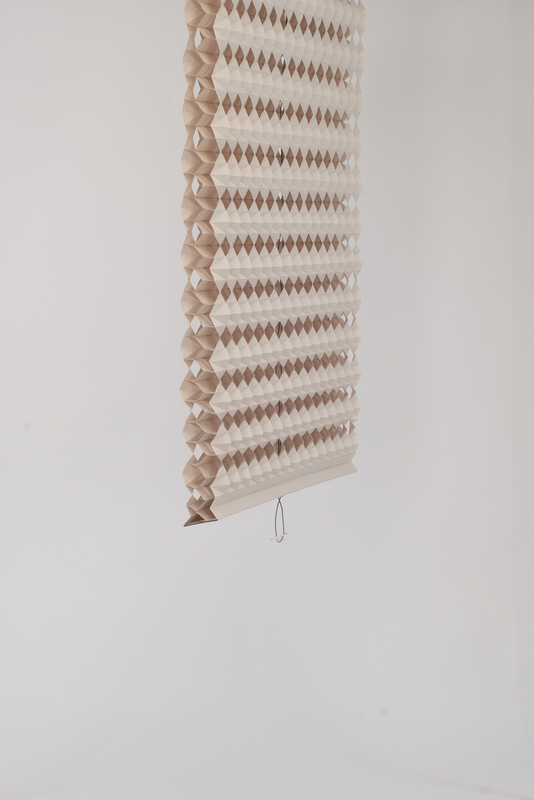 replacing sawatdichai’s old blinds is as easy as just sliding them out from the bracket and then sliding in the replacement. 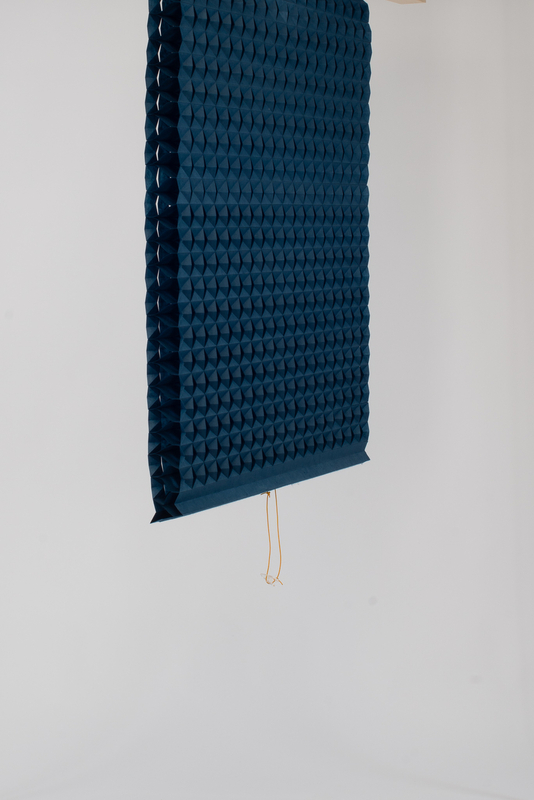 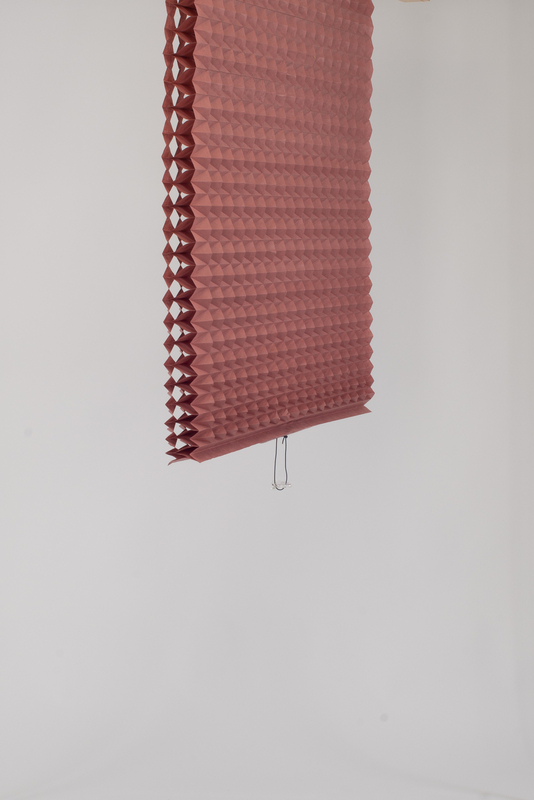 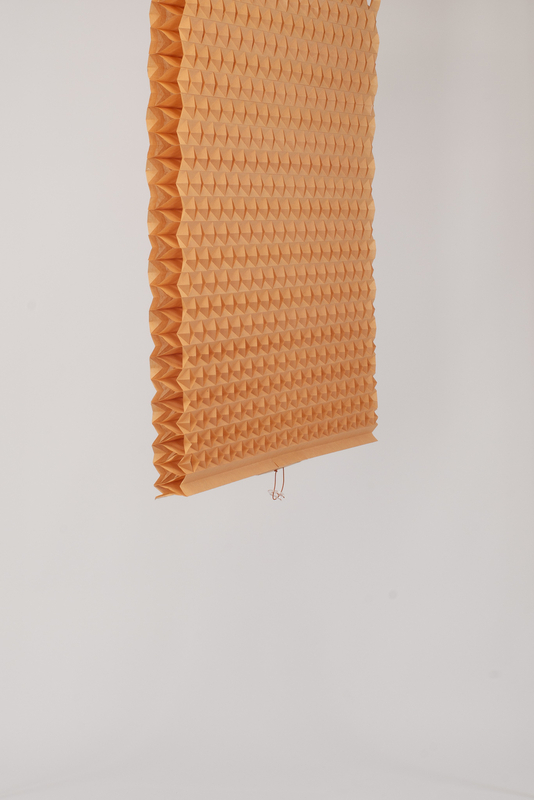 the moving cord and the mechanism of the blinds are placed in the center as the length can be simply adjusted to the desired size by cutting both sides of the edges and attaching them to the compact size bracket.